Club news recently has been dominated by the death of Sir Roger Bannister, President in 1950. Sir Roger was a great supporter of the Vincent’s Awards in particular. There will be a proper tribute to Sir Roger in the forthcoming Blues News, along with an appreciation of Clive van Ryneveld, one of the greatest all-round sportsmen produced by South Africa. 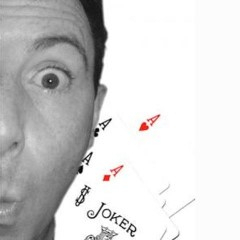 Johnny Oxford (John Hayns) has a degree from St John’s College, Oxford, and is proud to be an Associate of The Inner Magic Circle with Silver Star, and a Member of the Council of The Magic Circle. Thursday of 5th Week, 24th May. The annual garden party is on Saturday 9th June, from 6-9pm in the University Parks, Oxford. What better way is there to spend a June evening than drinking Pimm’s and Pinkies, nibbling canapés, and listening to Jazz in the blazing sunshine of an Oxford summer?! The dress code is smart. Blues blazers encouraged. Photographs for resident members of Vincent’s and Atalanta’s will take place at 5.30pm. Members of Vincent’s and Atalanta’s should show membership cards on the door. Security reserves the right to remove individuals from the event in the case of poor behaviour. Tickets will not be refunded. The 2018 Vincent’s Golf Day, to be held at Huntercombe G.C. onThursday 14th June. The following cricket fixtures may be of interest to Members. 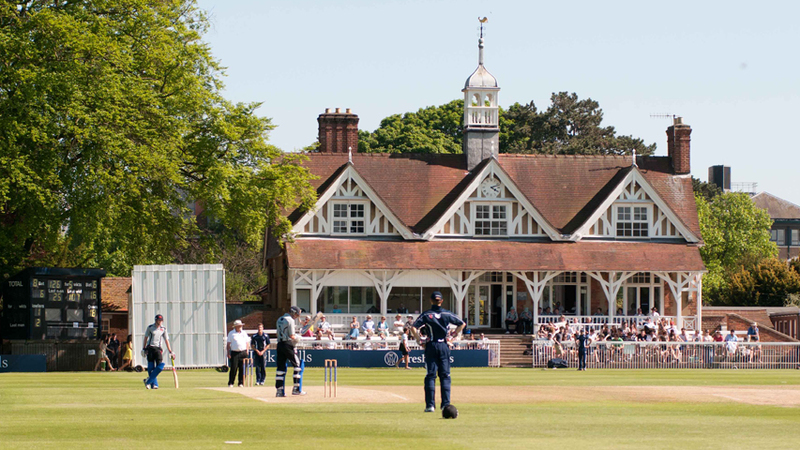 In particular we would love to see Vincent’s members at Lord’s for the one day match, and at the Parks for the four day match.Friday, 18th May: OUCC v CUCC. 20/20 matches: Women, a.m. and Men, p.m.Wednesday, 23rd May: OUWCC v CUWCC. Cambridge.Friday, 22nd June: The One Day Varsity Matches at Lord’s.Vincent’s Club will be taking a box as usual. Contact bursar@vincents.org to reserve a place, and click here to download a booking form. Monday to Thursday, 2nd – 5th July: OUCC v CUCC. The Four Day University Match. · A welcome Glass of Pimms. · Cold Buffet: Fresh Salmon, Coronation Chicken, Vegetarian Flans. · Desserts: Fresh Fruit Salad, Chocolate Roulade, Lemon Tart. · There will be a cash bar with two red and two white wines, three real ales and soft drinks. 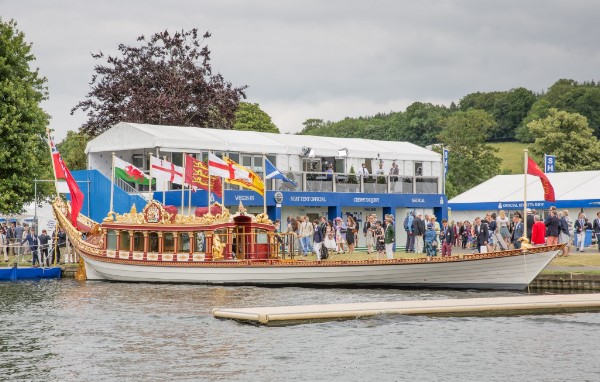 Friday 6th July: Vincent’s Club Henley Royal Regatta Picnic Lunch. Cricket Club Carpark, Henley. In the lunch break. We aim to hold a get-together for a decade group annually, so that you have the chance of a gathering every seven years or so. This year it is the turn of members from the 1990’s to be invited and we have extended the years invited from 1989 to 2000 in the hope of catching everyone who would like to attend. There will be a cash bar on arrival, and the four course menu, costing £55, includes half a bottle of wine with the meal, and a glass of port with coffee. Other drinks and extra wine will be available at the bar. Please spread the word amongst your contemporaries, and let me know of anyone we have missed off the invitation list. Photo of last year’s dinner for the 1980’s. Wednesday, 5th December at the Inner Temple, London. Vincent’s President, Sophie Taylor, invites you to join her from 7pm for drinks and a splendid three course meal with wines, coffee and port. Twickenham, on Thursday, 6th December. Why not start to organise your reunion group now? There will be a special offer on hospitality boxes this year. Contact bursar@vincents.org to register an interest. the New York Racquet and Tennis Club on Thursday, 7th March, 2019. On Monday the 6th of November, the annual Vincent’s Awards presentation evening was held at the clubhouse. The Chancellor, Lord Patten, presented the awards to this year’s scholars and bursary-holders, as pictured above. 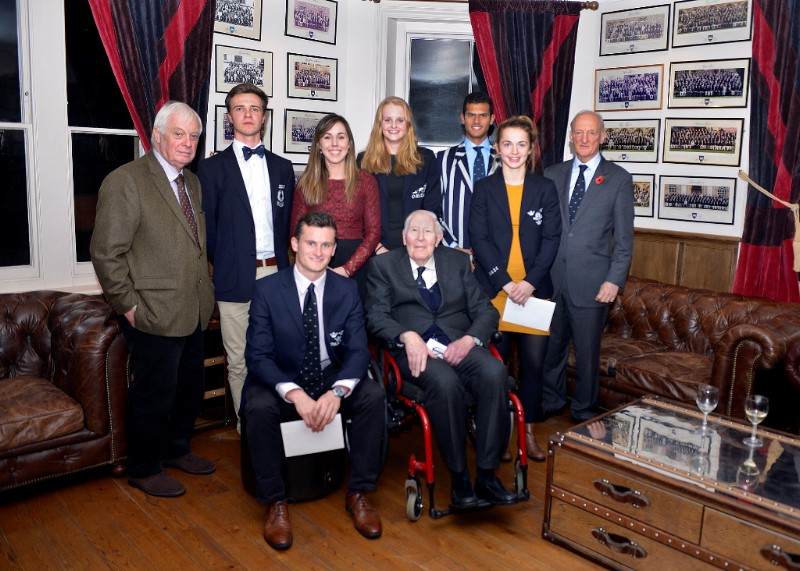 The esteemed Sir Roger Bannister, Club President in 1950, and VATC Chairman Melville Guest were also present to congratulate this year’s winners. This year, seven scholarships and two bursaries were awarded which will support the recipients with their sporting and academic endeavours over the course of the year. More information on the awards may be found on the awards page. This year’s Varsity Match will kick off at 3.00pm on Thursday 7 December 2017. As in previous years, you can get your tickets from the Club. 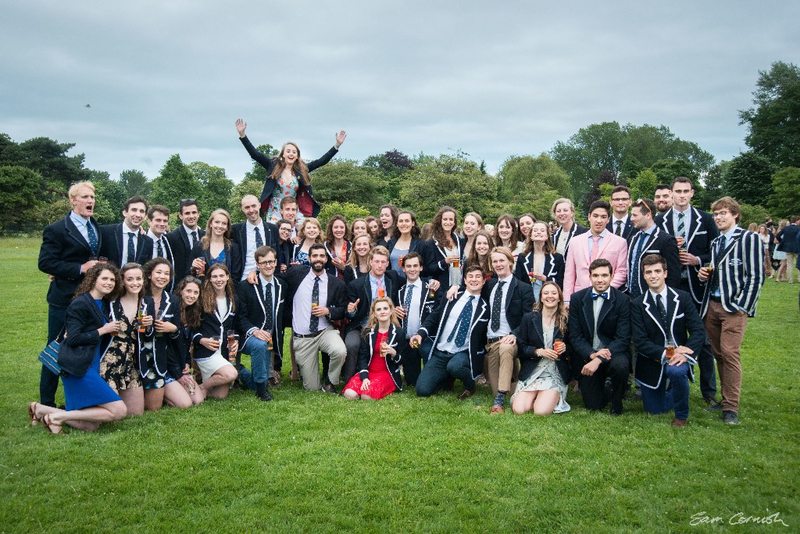 Your ticket will also allow you access to the Varsity Gathering (formerly the Blues Village), which is the dedicated university and college meeting point, open to Oxford and Cambridge alumni, family and friends. Open from 11.00am to 7.00pm (serving until 6.30pm), it is located in the Touchline Bar on level 4 of the North Stand this year and offers a private bar and a food vendor; other food vendors will be close by at ground level. To find the Varsity Gathering, head for Gate D and either use Lift 5 to take you to level 4, or the escalator that can be accessed at blocks M21/M22. The total ticket price is £40. Please use the attached form to book. If you cannot make it to Twickenham on December 7th and live in or near Oxford, why not watch the match in more comfort? Visit the Club on Match Day to use the bar, have lunch, and see the action on TV. The Club will be open from 12 noon throughout the day. You are cordially invited to the 2017 Vincent’s Club Annual Dinner which will be held in the magnificent Hall of the Inner Temple. This year we will be celebrating the contribution that Oxford has made to the British and Irish Lions and we will be joined by many of the Club’s distinguished Lions. The Dinner Chairman, Reg Clark (Club President in 1979-80) will introduce the Lions, and there will be a Q&A after the main course. There is a decent amount of wine included in the price of both the reception and dinner. However, there will also be a cash bar available for extra pre and post-dinner drinks, wine and beers. 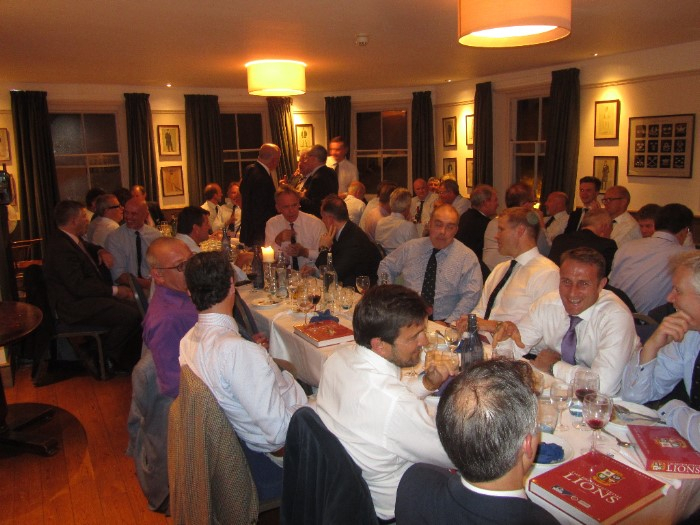 Should you wish to sponsor one or two resident members who play your sport to join the dinner please make a donation on the booking form, or contact v150admin@vincents.org. Some sponsorship opportunities for the dinner are also still available. Again please contact: v150admin@vincents.org. Your support would be much appreciated. To book tickets, please use the attached booking form Payment can be made by cheque, credit card, or by bank transfer (details on the form), giving your name as the reference. The Inner Temple Hall is limited to 250 places so please reply as soon as possible to avoid disappointment. We look forward to seeing you there. Chris is a Teddy Hall man, a hockey Blue, and was Vincent’s President in 1963/64. He has done as much as anyone to help the Club get back on its feet with the V150 project. An eminence grise to a number of recent Presidents, Chris not only has given sage advice in his typical self-effacing manner, but also encouraged a great number of others to help with their time and gifts. His optimism and constant encouragement have been hugely helpful on numerous occasions. The Club owes him a great debt, and here The Rt. Hon. Lord Butler of Brockwell KG (University, Club President 1961-2) is seen giving Chris a V150 blazer in recognition of this. Characteristically, Chris readily accepted our apology, and suggested this email only be sent if it drew more attention to the work of V150 and the need for annual donations from alumni members!